I have been in CAP 15 years in February. During that time, I have seen senior members who were embezzlers, professional con-artists, military impersonators, and various forms of sexual deviants. 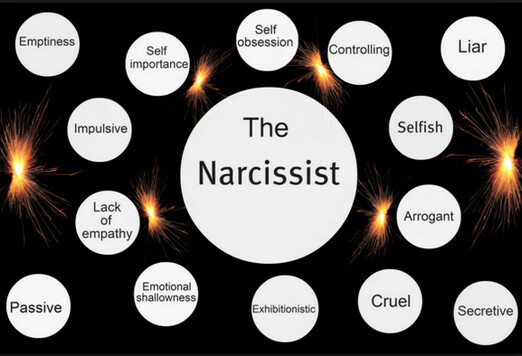 More interesting to me is the number of people who describe a Senior Member in their circle and they sound like they are checking the list right off the DSM, for personality disorders, like covert narcissism, borderline personality disorders, and varying degrees of sociopathy (Psychopaths). The most interesting, and I believe the most common, is the so-called “Industrial Psychopath” (Note that these disorders are all part of a triad, and some may be co-morbid with others. Psychopaths, for instance, are all Narcissists, but all Narcissists are not psychopaths. – no feelings or concern for losses, pain and suffering of others, cold-hearted and unemphatic. Many of these line-items will not be apparent on first meeting the member. Indeed, it can take quite some time before people start comparing notes and realize that there is a charming, ingratiating monster in their midst. My own squadron has had at least two that I know of. Many people who personally know psychopaths will recognize one in seconds. They are monsters in human form. I have worked with them enough to develop a sense of danger when meeting them. They scare the bejeepers out of me! So my question is, why as an institution, does CAP seem to attract so many members within the triad of personality disorders? In some cases, being a psychopath is highly rewarding. You never experience fear, you can lie seamlessly, and you can revise the truth to paper over almost anything that you are caught doing. I believe that Mr. Pineda was just such a man, but CAP has had members in high leadership positions, who, for a while at least, were very successful within CAP. Most psychopaths are not ax-wielding maniacs. They try to fit in, but their attempts to appear to show genuine empathy make most people feel “creepy”. High-functioning sociopaths, narcissists, and borderline personalities can often pass as normal for a long time, but eventually, they give themselves away.